The Chairman, Senate Committee on Federal Roads Maintenance Agency, Mr. Magnus Abe, has said that President Muhammadu Buhari’s comment on the declaration of executives of the All Progressives Congress (APC) was in the party’s best interest. Abe stated this on Thursday while appearing as a guest on Channels Television’s Sunrise Daily in Lagos where he spoke on the recent developments within the APC. “This is not about anything that is personal to Buhari. What he is looking at is the image of the party, the responsibility of the APC to lead by example and the best option,” he said. President Buhari had during a National Executive Council (NEC) members last week Tuesday declared the elongation of the tenure of the ruling APC’s executives illegal. This comes one month after the NEC announced the elongation of the tenure of the party’s National Working Committee and other executives by one year, effective June this year. The announcement had been made on February 27 during a NEC meeting attended by President Buhari, Vice President Yemi Osinbajo, APC Chairman John Oyegun and other party chieftains. 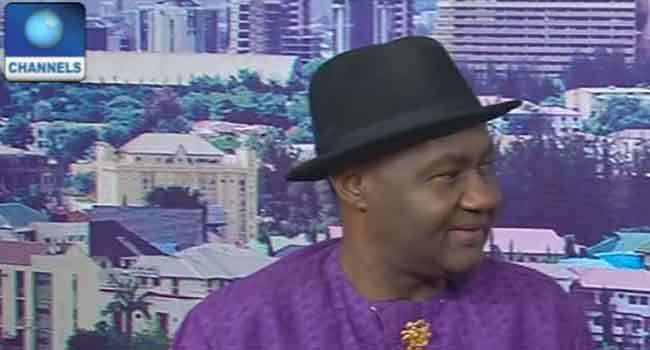 Responding, Senator Abe who represents the Rivers East Senatorial District in the red chamber of the National Assembly commended the Commander-in-Chief for saving the party from legal issues. He added, “The President as a leader and conscience of the party has drawn the attention of everybody that this action we have taken has potential legal pitfalls ahead for the party if we don’t review it. “After the President spoke, it is pretty clear to anybody who is a politician that for a voice that strong to come out to warn and advise us, we as a ruling party cannot disobey the law. On the reconciliation committee’s efforts to appease aggrieved members of the party, the Senator wants the party’s National Leader, Mr Bola Tinubu to liaise with the National Working Committee headed by its National Chairman, Mr John Oyegun.